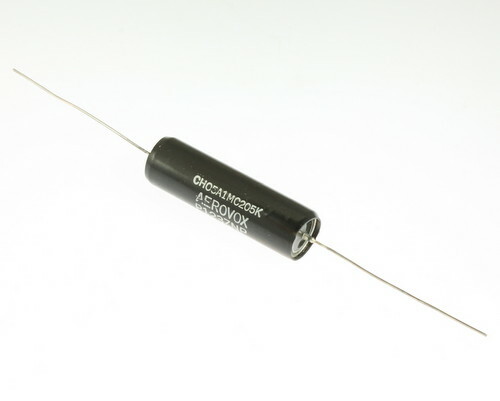 CH05A1MC205K Hermetically Sealed Metallized Polyester Capacitor. MIL-C-18312 Compliant. CH05A1MC205K has unique dual dielectric. Combination of metallized paper and polyester film, impregnated with high temperature mineral wax. Inserted tab. Insulated.